There’s no better time to enjoy the top of Vermont that wintertime! Here’s just a sample of the fun things you can do while staying with us at the Phineas Swann! The Jay Peak Resort is rightly famous for its excellent skiiing, with the greatest snowfall amount in all of Vermont. We have a full page on our local skiing at Jay for you to explore. 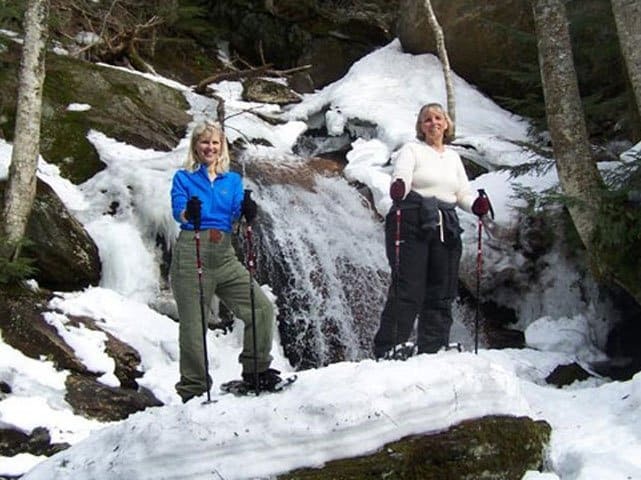 For awesome Cross-Country Skiing, you either can go to Jay Peak and ski over their beautifully groomed trails which travel over their landscaped golf course when it’s covered in snow, or you can experience some of the best cross-country skiing in New England at one of the many groomed trails maintained by the Hazen’s Notch Association. To reach Hazen’s Notch, just go to the end of the road (towards the Baptist Church), cross over the bridge and turn left on Rte 58. The Hazen’s Notch Association Welcome Center is located on the left hand side of the road about 3 miles up They have trail maps, and lot’s of suggestions on the best routes depending on your experience. Rental of equipment is available at Hazen’s Notch Association, right in town at “First Trax” (326-7023). Dogsledding is gaining in popularity, and our area now offers several choices to enjoy this exciting sport. Eden Adventures is the area’s premier adventure guide service, offering Dogsledding and a variety of other winter and summer activities. Dogsledding rides last approximately one hour. Vermont is the home of VAST, the Vermont Association of Snowmobile Trails. With hundreds of miles of trails throughout the farms and mountains of the Northeast Kingdom, snowmobiling is one of the most popular winter sports in Vermont. 1 Hour Tours: 1 rider per sled, $120; 2 riders per sled, $150. 2 Hour Tours: 1 rider per sled, $179; 2 riders per sled, $229. You can reserve a pair of snowshoes from the Phineas Swann for no cost. Make sure to call in advance to reserve. 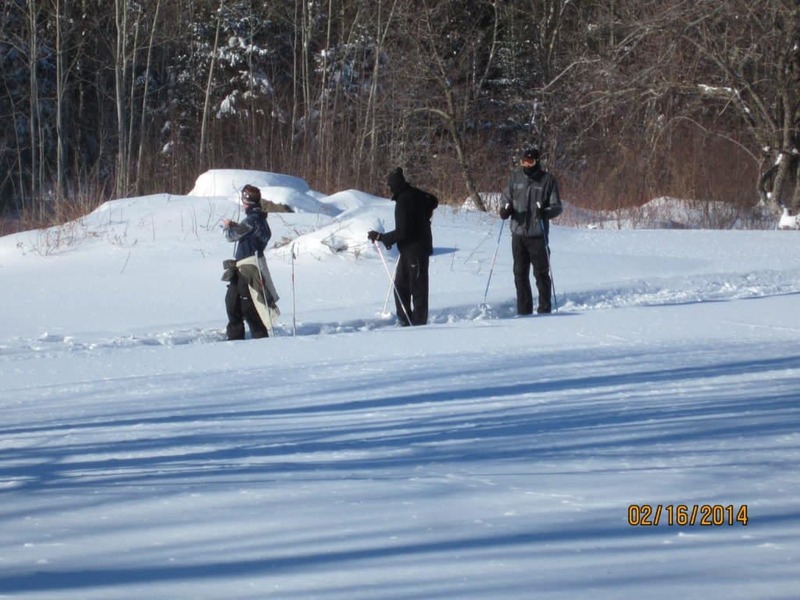 Another option is the monthly Full (Cold) Moon Snowshoe Tour along Spruce Brook to the summit of Sugar Hill. Meet at the Welcome Center on the Hazen’s Notch Road, 7:00 PM. Adults $3, Children $1. HNA Members Free. Snowshoe rentals $4. Contact us about dates.